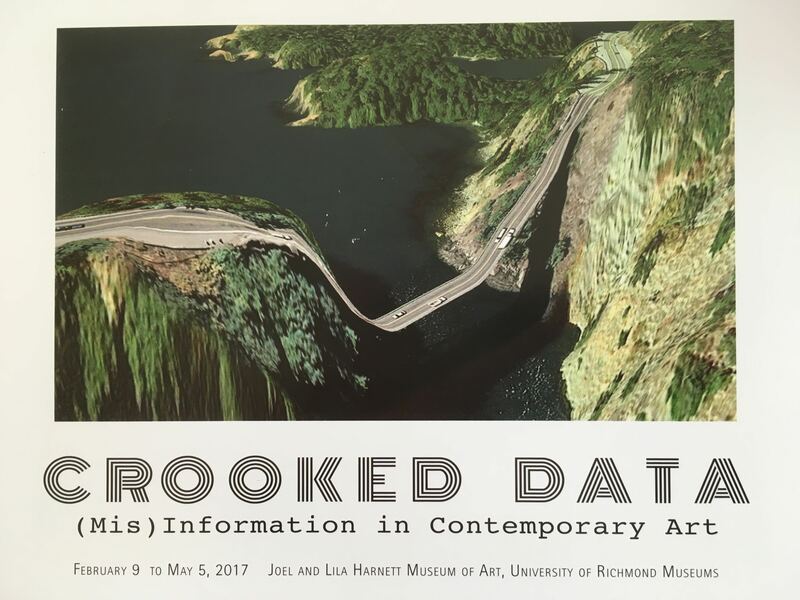 Curated by N. Elizabeth Schlatter for the University of Richmond Museum, Crooked Data exhibits artists who use work with data and data visualization in nontraditional ways. Some incorporate data from known sources, using it as an aesthetic device divorced from its originally intended interpretive function. Others gather and manifest data that might normally be considered not worthy of collecting. 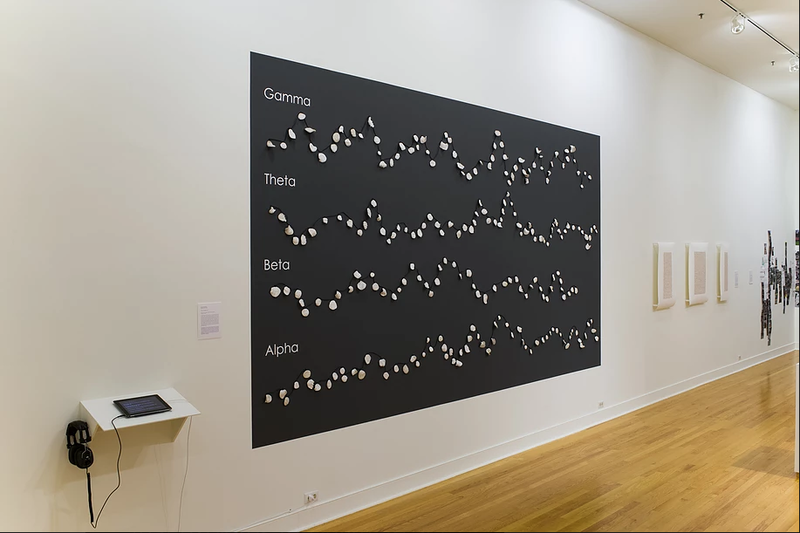 Lastly, some of the works explore alternatives or reveal flaws in standard data visualization practices.